France is a destination we have specialised in since 1974 and our luxury holidays visit some of the country’s most beautiful waterways. It is a country renowned for fine food and wine, spectacular scenery and wonderful culture, all of which can be experienced on a barge holiday. Burgundy, in France’s heartland, is one of the most popular cruising areas and is often referred to as the home of hotel barge holiday. France boasts some of the world’s finest wines and with around 60,000 acres of sunlit vines, a cruise in Burgundy is highly recommended if you are a wine enthusiast. Another popular destination for a France barge holiday is the sun-drenched Canal du Midi in the South of France. The pace of life is relaxed and lulls you into unwinding as you cruise this serene and shady tree-lined waterway inland past ancient villages and Roman fortifications. 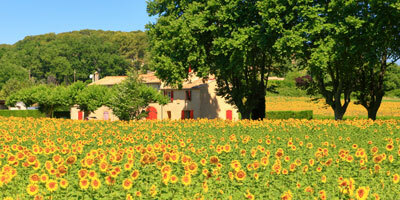 Further west from the Midi is Gascony, another great region to cruise. The Canal des Deux Mers passes through the region of L’Occitanie – a veritable palette of colours and scents created by orchards and vineyards. 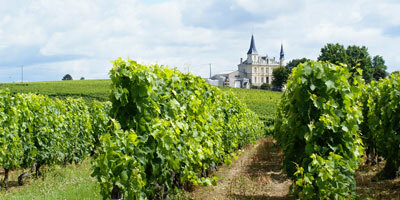 Bordeaux wine country is another region visited on a European Waterways barge holiday. 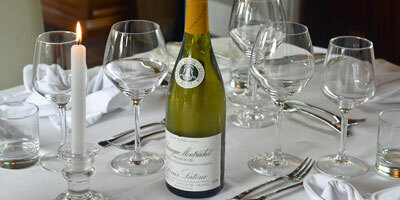 France is country where good food and wine is a way of life, and Bordeaux perfectly exemplifies this culture. 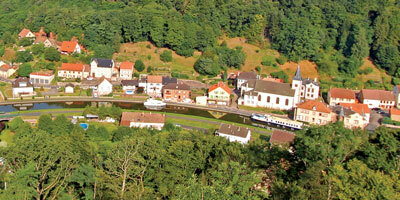 The wonderful Loire Valley with its chateaux and scenery offers another great experience for a barge holiday. France can often be a timeless land of spectacular beauty and grace, and we are delighted to offer the only hotel barge navigating the heart of the Loire Valley, along the peaceful River Cher. The proximity of such a wealth of gorgeous Renaissance architecture makes a cruise along this waterway a unique travel experience. The beautiful region of Champagne, east of Paris, has much to offer with vineyards spread across the rolling plains as far as the eye can see, and there will be plenty of opportunity to sample the sparkling wine to which the region has given its name. The area has a rich, history and during our barge holidays in France we will visit a number of landmarks, chateaux and cathedrals. 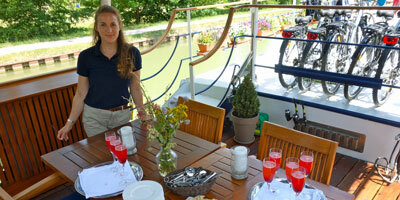 For something slightly different we offer cruises in Alsace-Lorraine, located on France’s eastern border. With its unique mix of French and German cultures, Baroque and Romanesque architecture, storybook villages, diverse culinary specialities and wonderful white wines, it truly is a great region for a hotel barge cruise. 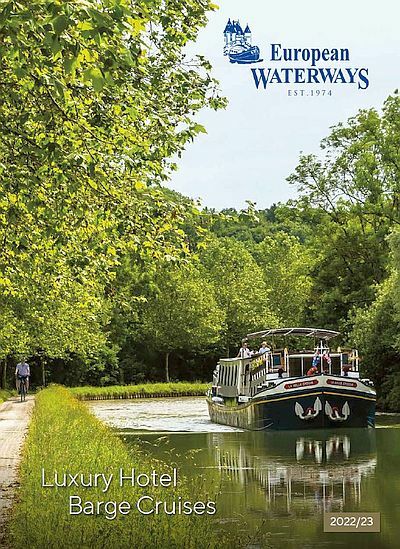 There are over 2700 miles of inland waterways in France and an integral part of this system is a 750-mile network of canals linking up the main rivers. Gently navigating its waterways is the perfect way to explore the country. France is at its best away from the main tourist trails, and canals like the Briare, Nivernais, Burgundy and Canal du Midi are perfect for exploring some of France’s finest scenery, fascinating history and local culture. Our cruises gently introduce you to some of Europe’s finest scenery, fascinating history and local culture. Every European Waterways six-night excursion includes all gourmet meals, regional wines, an open bar, local transfers and the use of facilities such as bicycles to explore the towpaths, a sundeck to laze on, or a spa pool to relax in. We also offer daily escorted excursions “off the beaten track” to wineries, castles, markets or to see craftsmen at work. We have 13 vessels, which can accommodate between 6 and 12 passengers, spanning regions from Alsace to the Midi. The route of each of our barge holidays in France has been specially selected by us, so no matter where or when you cruise, we are sure to have the holiday for you. Dijon is a modern, growing city with a well-designed boat harbor. 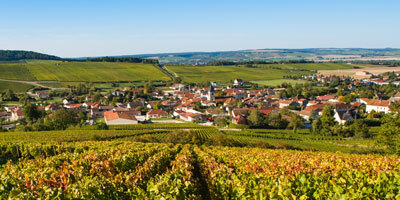 It is the center of Côte d’Or and was the ancient capital of Burgundy in the 14th and 15th centuries. 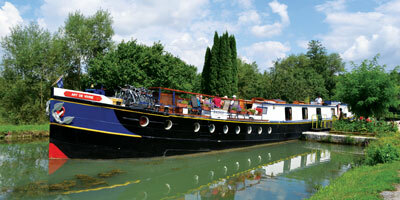 La Belle Epoque is a spacious, luxurious hotel barge and sister ship to L’Impressionniste. 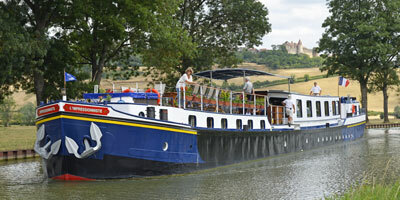 Although she originally carried logs from Burgundy to Paris, she was skilfully converted into a delightful hotel barge. She is now the perfect vessel for cruising the Upper Burgundy Canal with its towpaths that are ideal for walking and cycling.